Blue Sky’s I/ON Nominated for an Advancement In Radio Technology Award : Audio Design Labs Inc. Studio grade performance; I/ON is an evolution of Blue Sky’s critically acclaimed SAT 6.5 MK II active studio monitor, and is designed to integrate perfectly with Blue Sky’s SUB 12 and SUB 15 Universal. 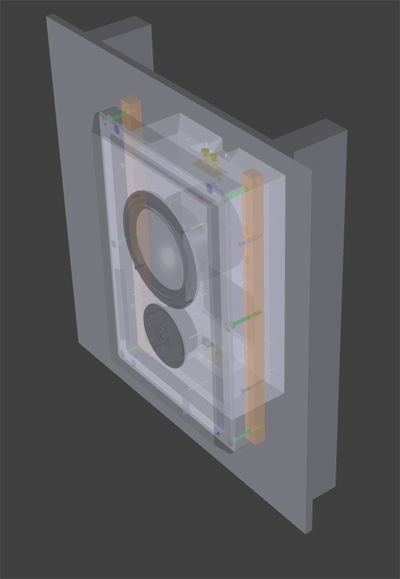 Low diffraction cloth grille; greatly minimizes the acoustic impact of the grill cloth and grill frame on the performance of the I/ON Passive Studio Monitor. 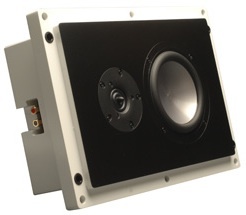 The end result is an in-wall / on-wall passive studio monitor that integrates seamlessly into to your studio, home cinema, boardroom, or other critical listening environment and provides the type of performance our customers have come to expect from Blue Sky. Note: Like all Blue Sky SATs, the I/ON Passive Studio Monitor is designed to perform at its best when matched with a Blue Sky subwoofer such as the SUB 12 or SUB 15 Universal.